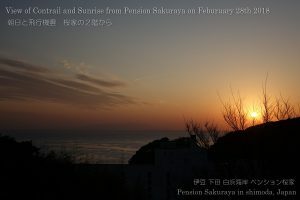 My son always takes bus to go to the school every morning. I walked to the beach with him this morning and took some pictures of sun light. 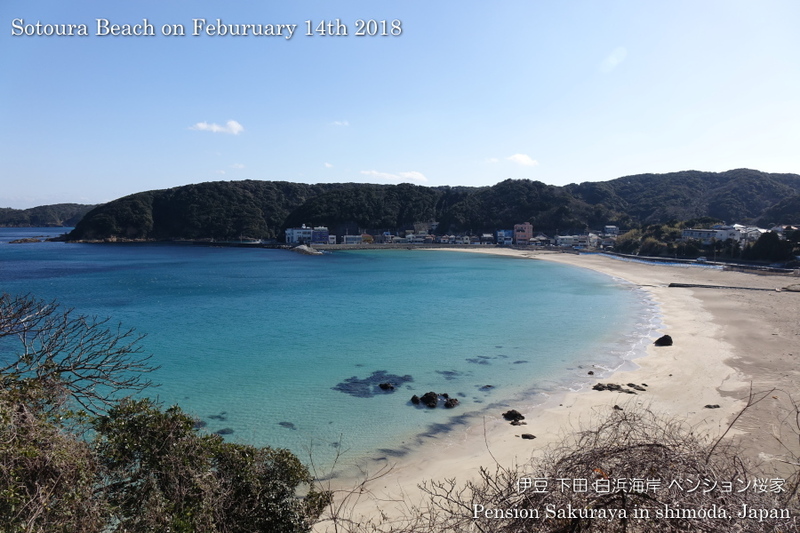 It was sunny this morning, but it became cloudy after noon. 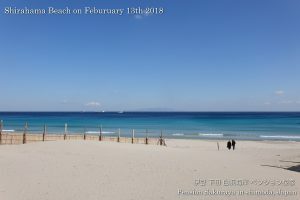 This entry was posted in beach, nature on 2018年2月28日 by izusakuraya. 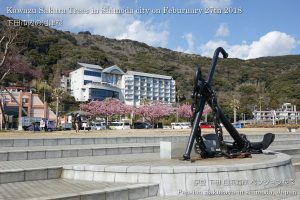 I went to the city of Shimoda for shopping this afternoon. 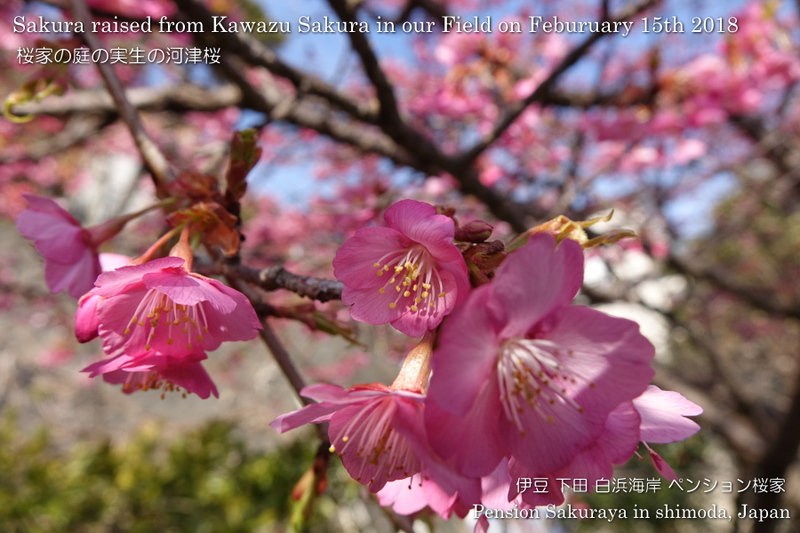 And took some pictures of Kawazu Sakura at many places in Shimoda. 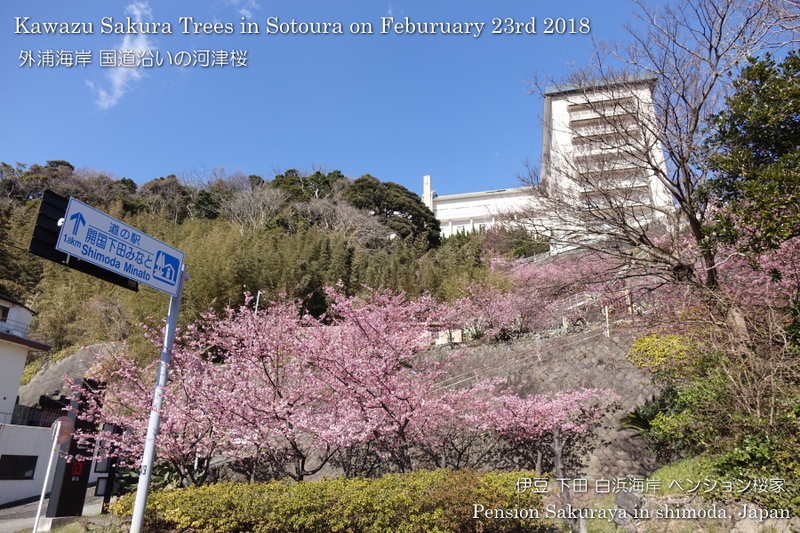 Most of them are now fully blooming! 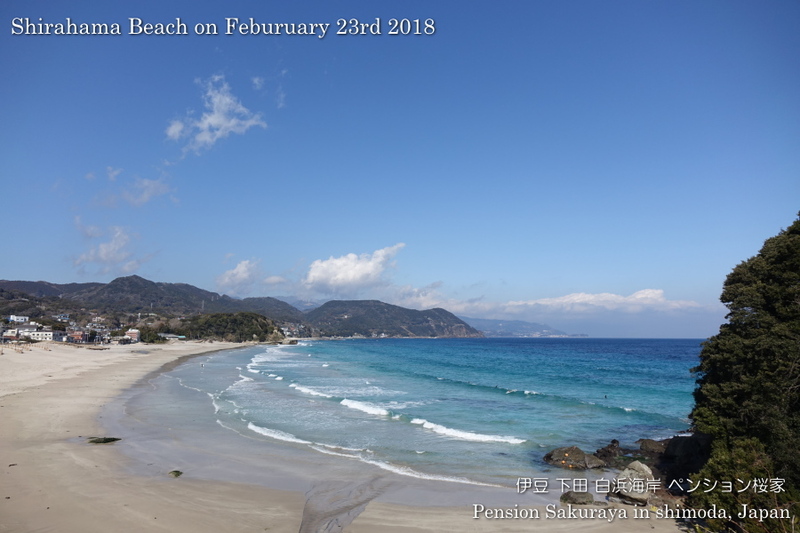 It was sunny and a little warmer than yesterday here in Shimoda today. 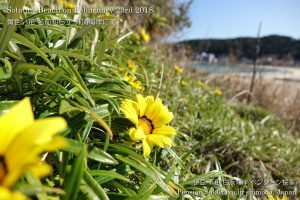 This entry was posted in beach, Flower, nature on 2018年2月28日 by izusakuraya. 2018/02/27 Thank you for staying! They came to Japan from Hong Kong for the 4th time. 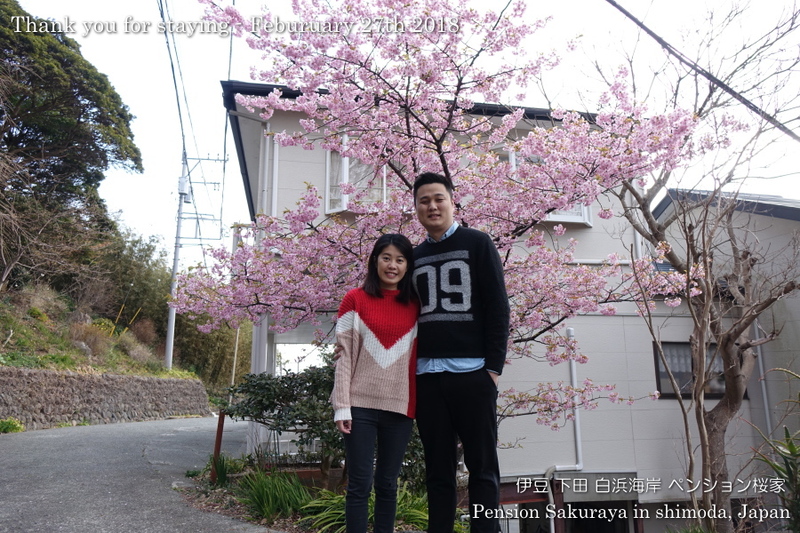 They have visited a lot of places in Japan before but it was 1st time to come to Shimoda. 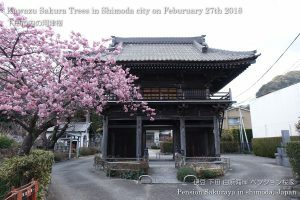 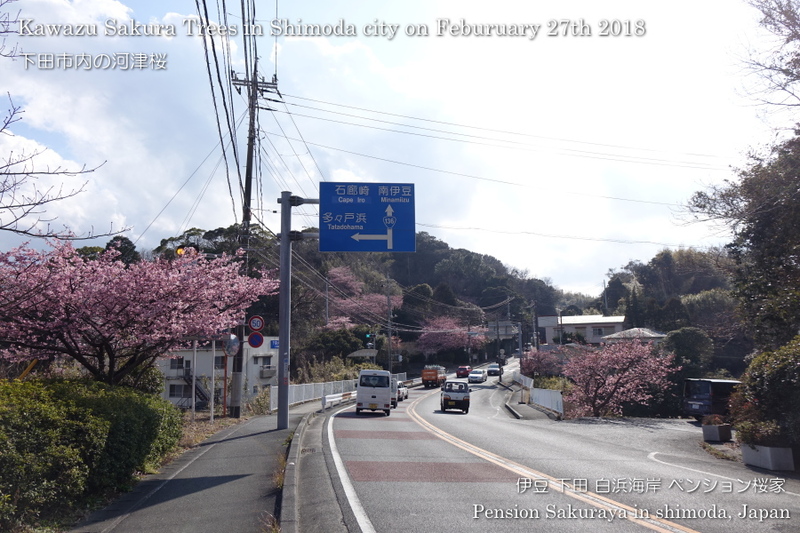 I think you were lucky to see the Kawazu sakura blooming fully in and around Shimoda city and in Kawazu town. 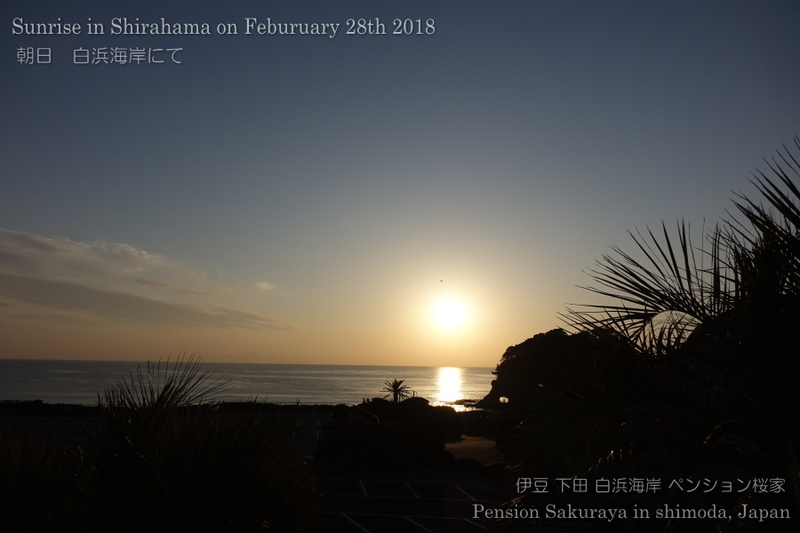 This entry was posted in Customers, Pension Sakuraya on 2018年2月27日 by izusakuraya. 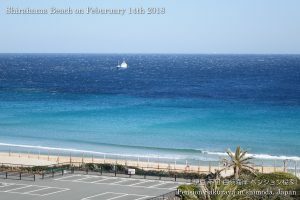 We didn’t have strong wind today and was a little warmer than yesterday. I found out yellow flowers on the beach Sotoura. 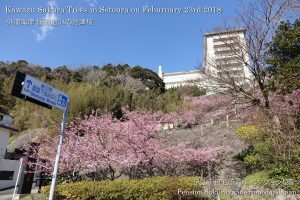 And Kawazu Sakura trees near the beach are now fully blooming. 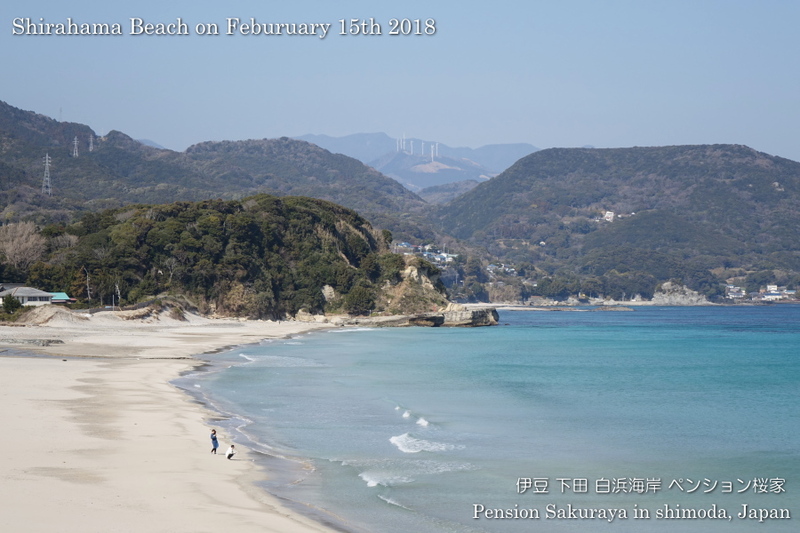 I took a walk on the seaside and the mountain road for about 10,000 steps this afternoon. 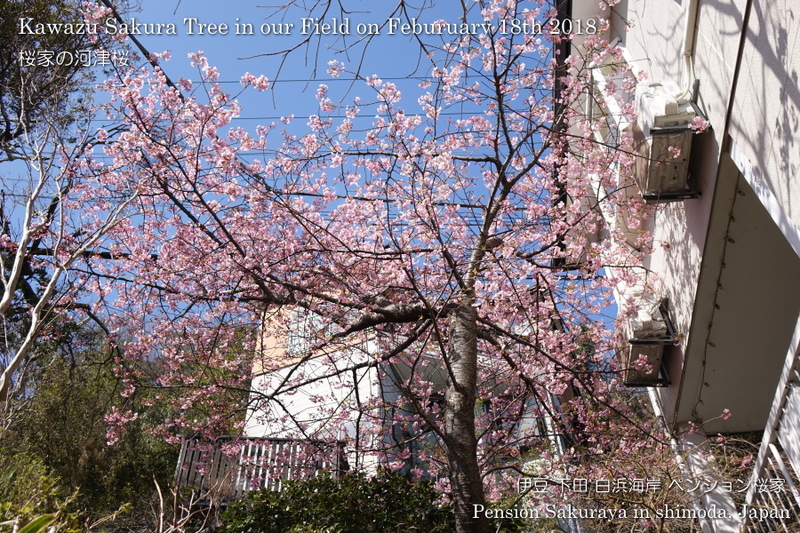 That’s why I’m a little tired…. This entry was posted in beach, Flower on 2018年2月23日 by izusakuraya. 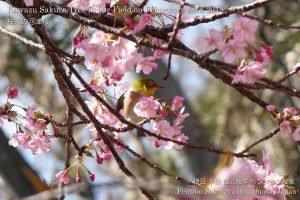 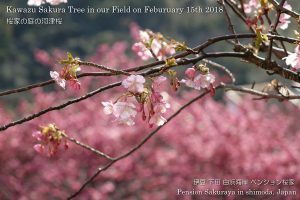 2018/02/18 Sakura tree are now fully blooming! Kawazu Sakura trees are now almost fully blooming in our field. 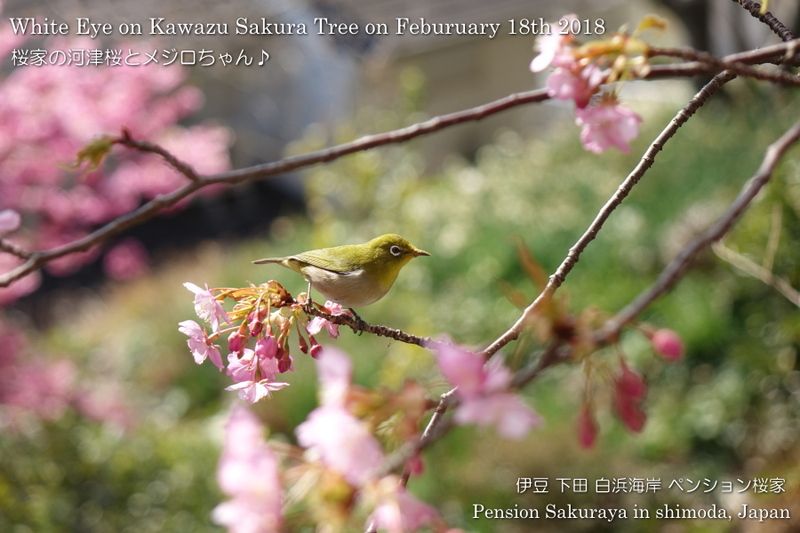 A lot of white-eye birds come to the tree for their breakfast and lunch. I had been taking pictures of white-eye for about 2 hours in our field. 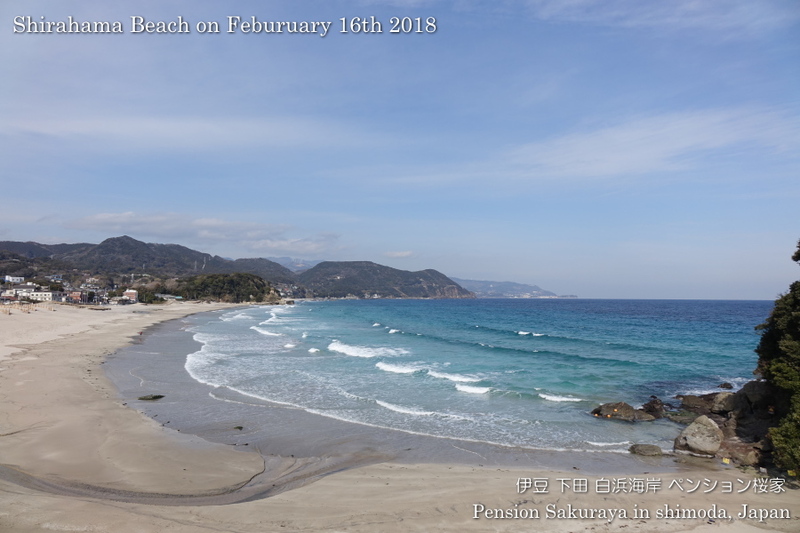 After that, I walked around on seaside and mountain road for 2 and half hours. 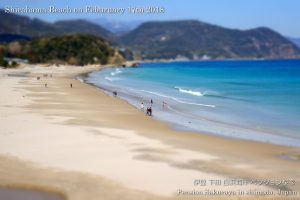 This entry was posted in beach, Flower, nature, Pension Sakuraya on 2018年2月18日 by izusakuraya. 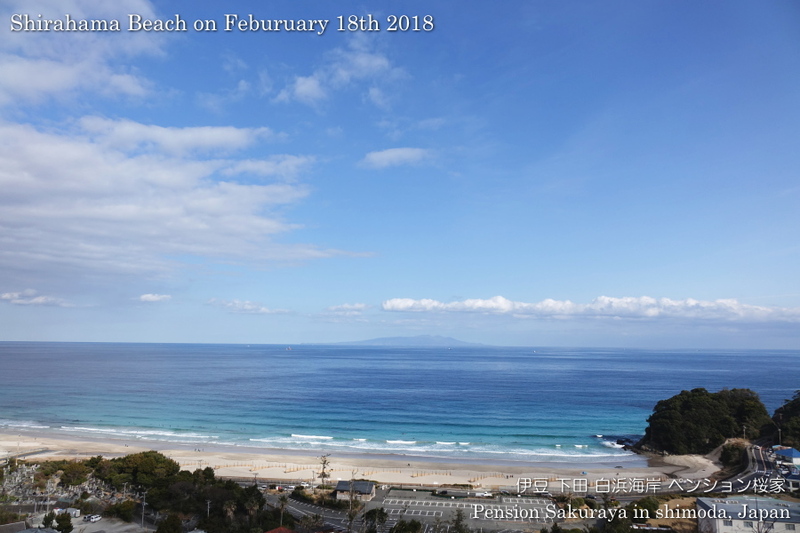 It was sunny but we had cold west wind again here in Shimoda today. 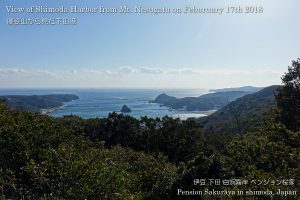 I took a Nordic walk on seaside road and mountain road to Mt. 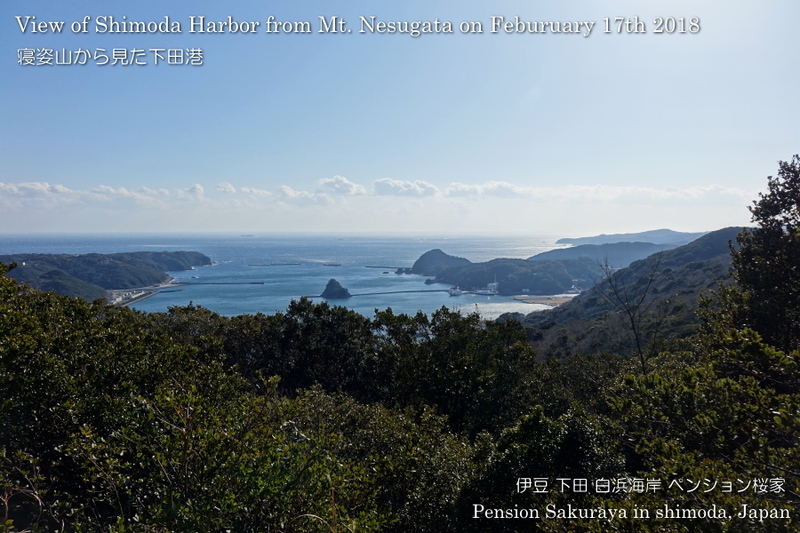 Nesugata. I usually take 6,000 or 7,000 steps by walking, but today I took 12,000 steps for 8km. 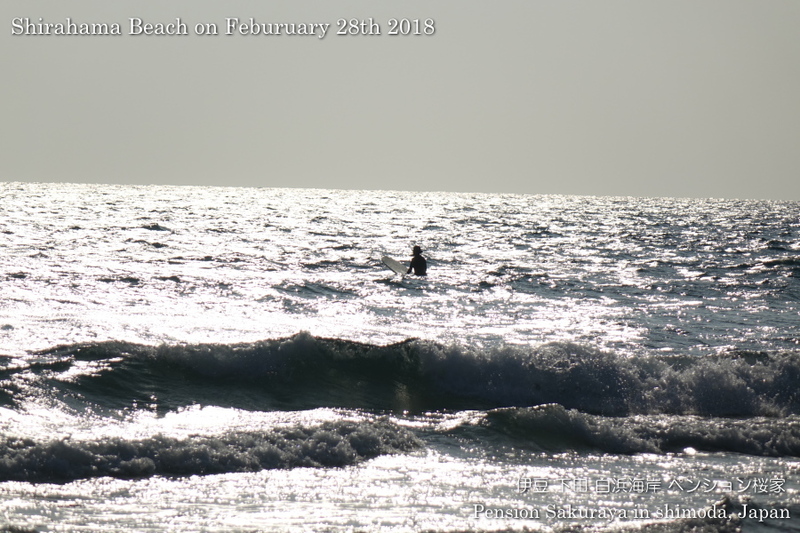 I may have muscle pain tomorrow or the day after tomorrow….. This entry was posted in beach, nature on 2018年2月17日 by izusakuraya. 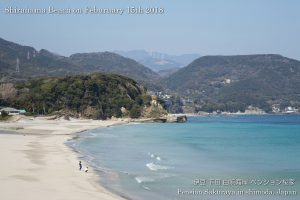 I walked on the seaside road and went to Mt. 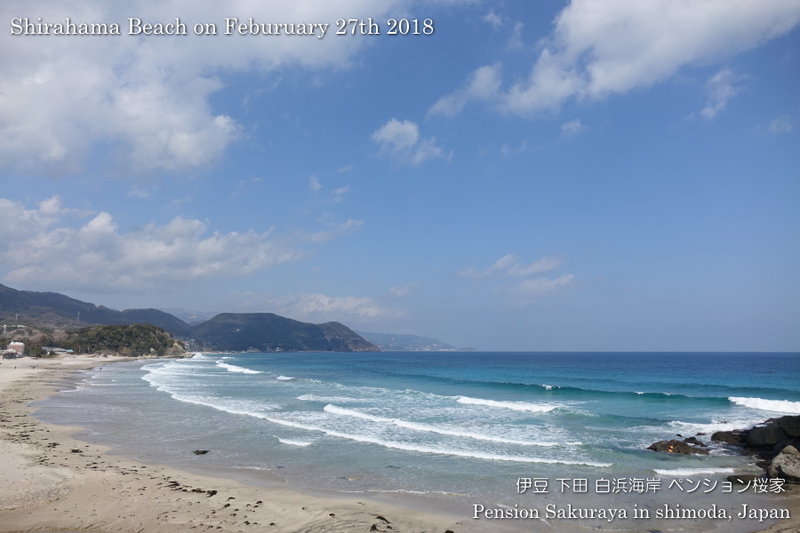 Nesugata with the north-east wind. Now we are able to see the joint performance of white and pink by the narcissus flowers and the sakura blossoms. This entry was posted in beach, Flower, Pension Sakuraya on 2018年2月16日 by izusakuraya. 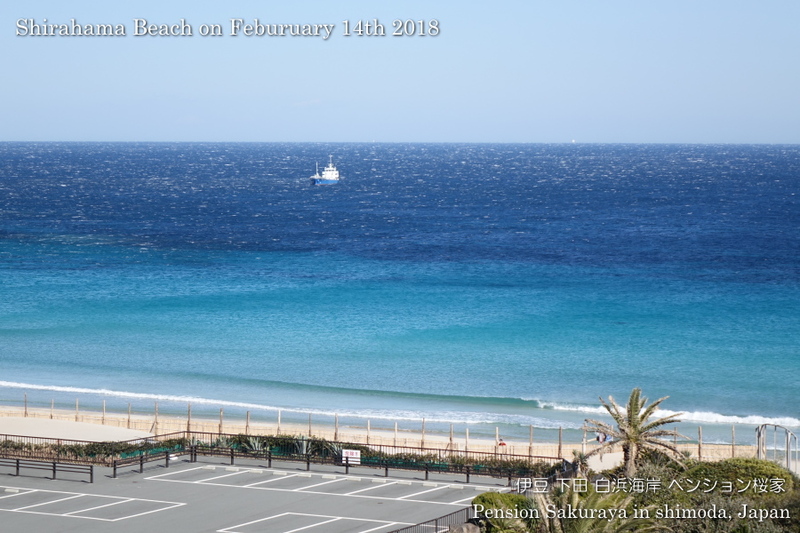 Though we had very strong west wind again here in Shirahama today, it was much warmer than yesterday. 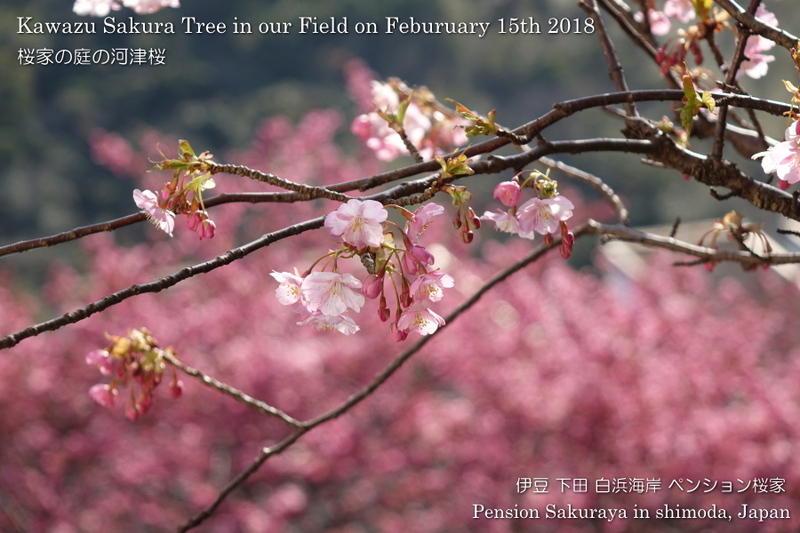 There are some kinds of Sakura in the field of Pension Sakuraya. 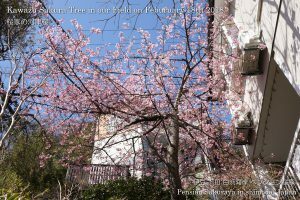 The first one is raised from the seed of Kawazu sakura. 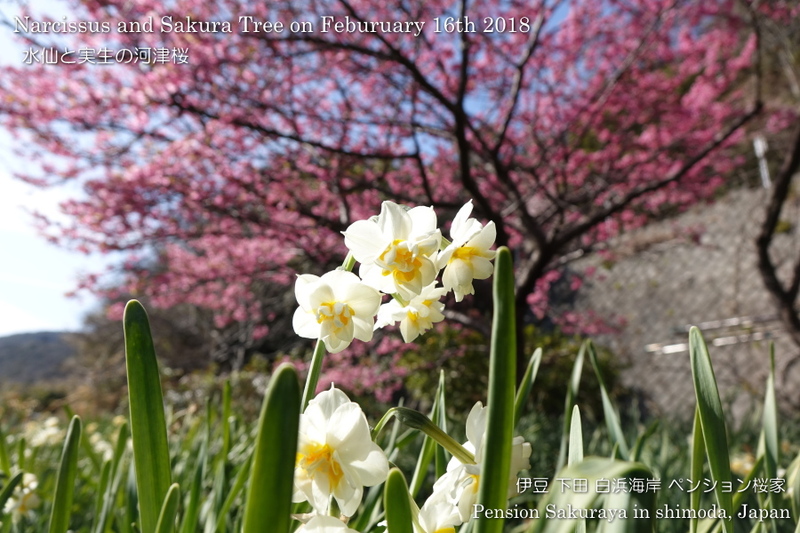 The petals of this tree has different color from the original one. 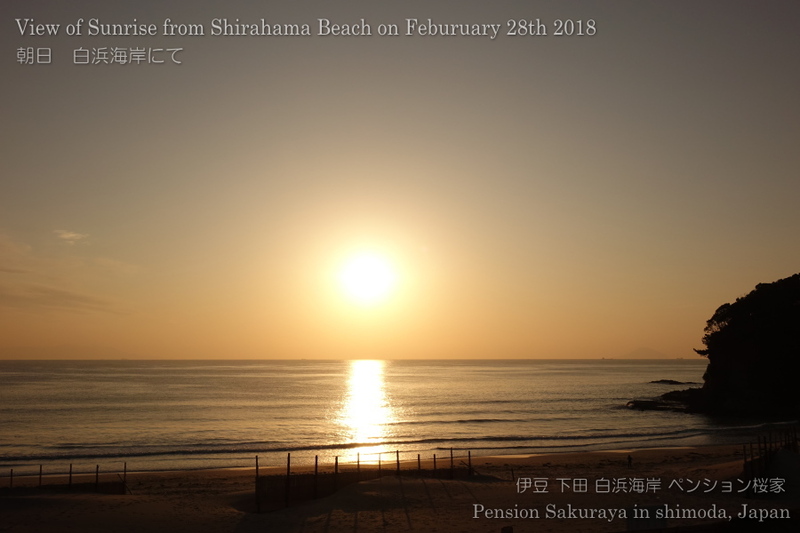 This entry was posted in beach, Flower, Pension Sakuraya on 2018年2月15日 by izusakuraya. 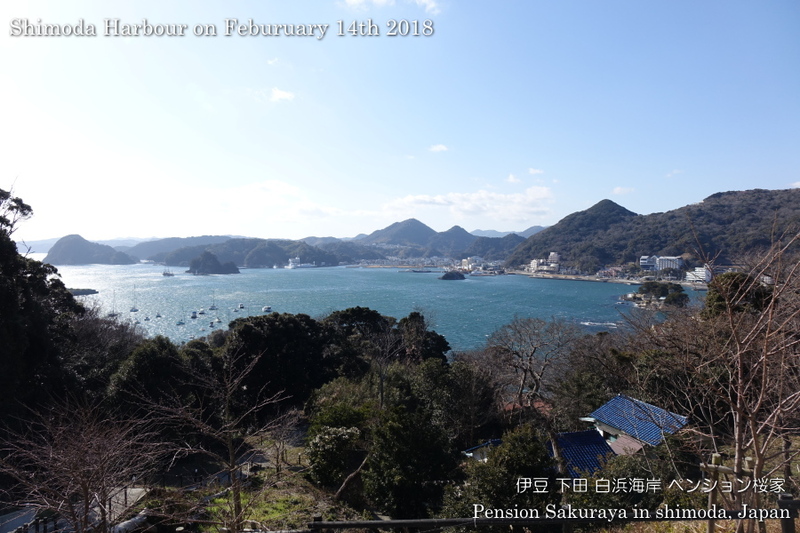 I walked to the top of the hill under the beautiful sky, where we can see Shimoda harbor this afternoon. Today we had very strong west wind again today, but I was very happy to walk looking over the beautiful sea. This entry was posted in beach, nature on 2018年2月14日 by izusakuraya. 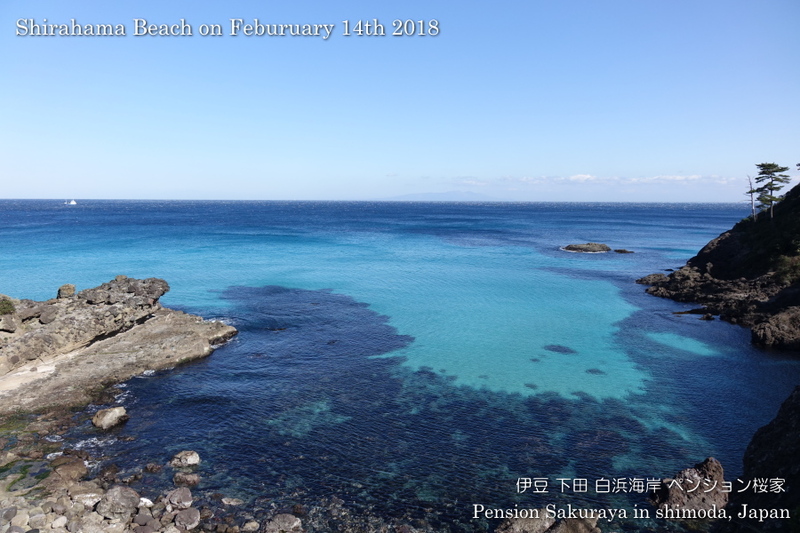 Though we had cold west wind it was beautiful day here in Shirahama today. 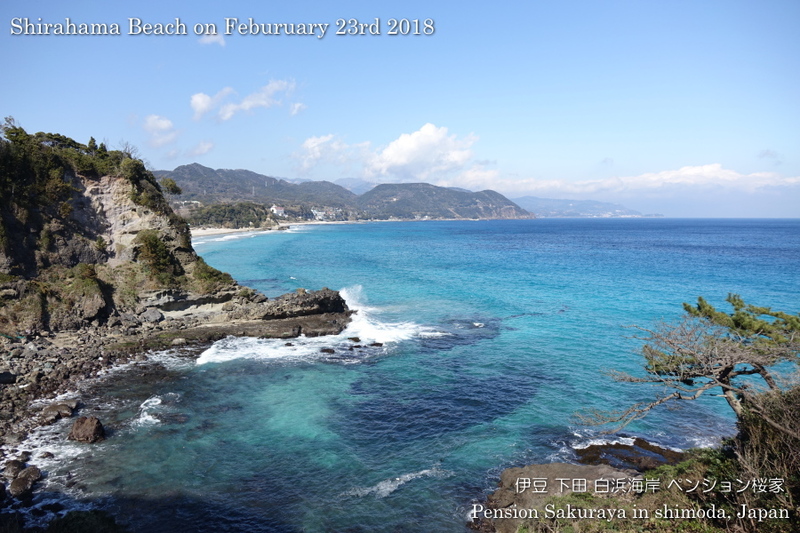 I took this picture before going to The town of Shimoda for shopping. 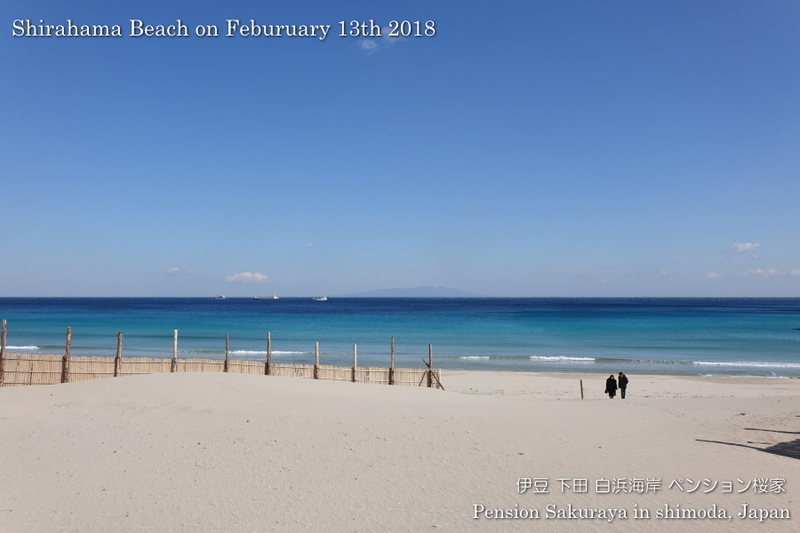 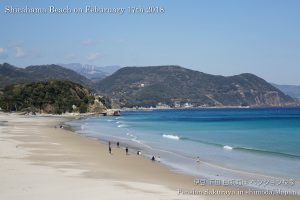 This entry was posted in beach on 2018年2月13日 by izusakuraya.